Dr Abujaber's vivid and dramatic account is drawn on extensive personal experience of the Christian families of the Levant region, coupled with exhaustive research in international and local archives. The strands are woven onto a comprehensive yet highly readable account of life in the Holy City over the last two centuries. This landmark book will be vital to religious scholars and any one with an interesting in gaining an understanding of the modern Middle East. 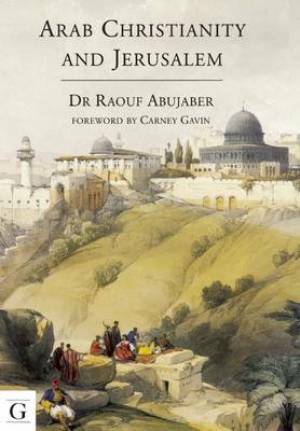 Arab Christianity and Jerusalem by Raouf Abujaber was published by Gilgamesh Publishing in August 2012 and is our 57641st best seller. The ISBN for Arab Christianity and Jerusalem is 9781908531162. Be the first to review Arab Christianity and Jerusalem! Got a question? No problem! Just click here to ask us about Arab Christianity and Jerusalem.